Easily accessible from Bangkok and replete with natural and cultural attractions, Koh Si Chang is a little-visited island that deserves more attention. Here's how to spend a weekend on Koh Si Chang. 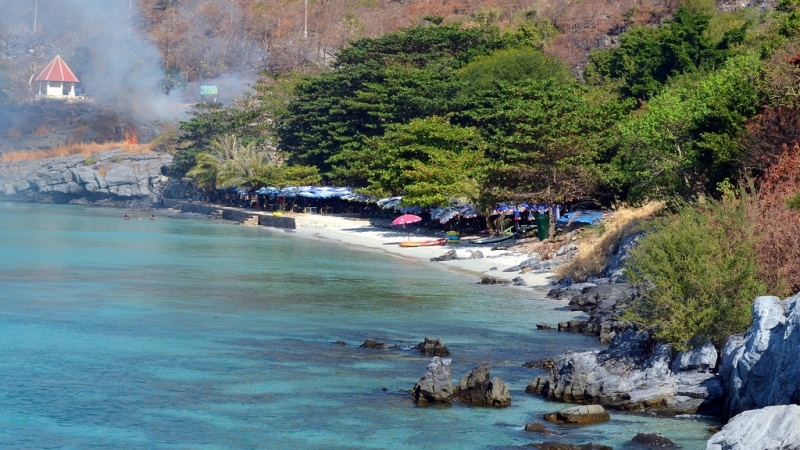 Koh Si Chang is a small island off the coast of Thailand’s town of Si Racha (in Chonburi province). 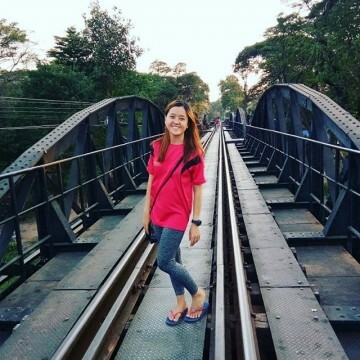 Within easy reach of the Thai capital of Bangkok, it’s a favourite destination for Thais seeking to escape the city’s hustle and bustle for a weekend. If you plan your trip for during the week, however, you’ll find the island to be rather devoid of holidaymakers and you’ll be able to soak up the peaceful vibe of a traditional Thai fishing island. 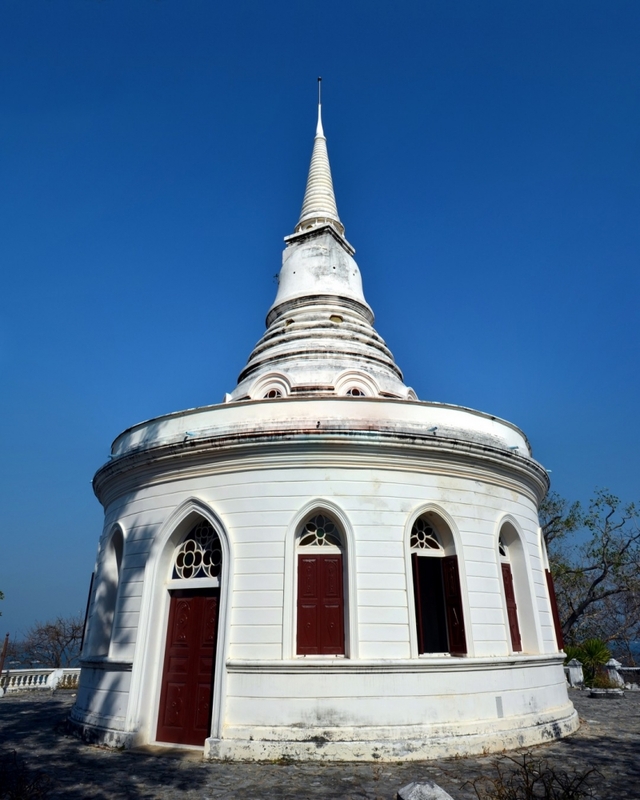 In the past, Koh Si Chang was a popular retreat for royalty, with King Chulalongkorn having established a summer palace on the island in the late 1800s. Later controlled by the French, the island has several interesting sites to enjoy. Regular ferries connect Koh Si Chang with the mainland. Catch an early morning ferry from Si Racha to make the most of your weekend on the island. 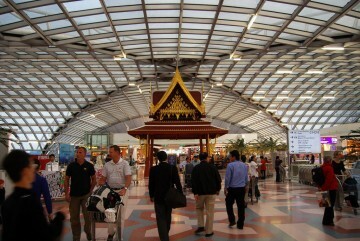 On arrival, drop your luggage at your accommodation and rent a scooter to get around the island with ease. (Remember to always wear a helmet and keep your wits about you.) Alternatively, you can hire a tuk-tuk to take you on an island tour. Take an hour or so to explore the island by road, familiarising yourself with the island’s layout and stopping to snack on fresh fruit and other treats from roadside vendors for brunch on the go. Don’t worry about getting lost, though; the island is only eight square kilometres! The Tourist Information Centre (located on the island’s main pier) provides free island maps if you weren’t able to source one from your accommodation. Ride along rural roads past grazing goats and stop at several viewpoints around the island to see the ocean, buildings, pagodas, nearby islands, and the mainland. A number of caves can be found around the island, including some that feature shrines and others that are home to reclusive monks. 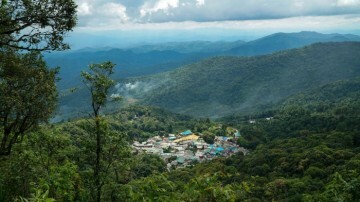 One of the most interesting and accessible for visitors is the cave monastery of Wat Tham Yai Phrik. A leading meditation centre, nuns take visitors on tours of the chambers and caverns. 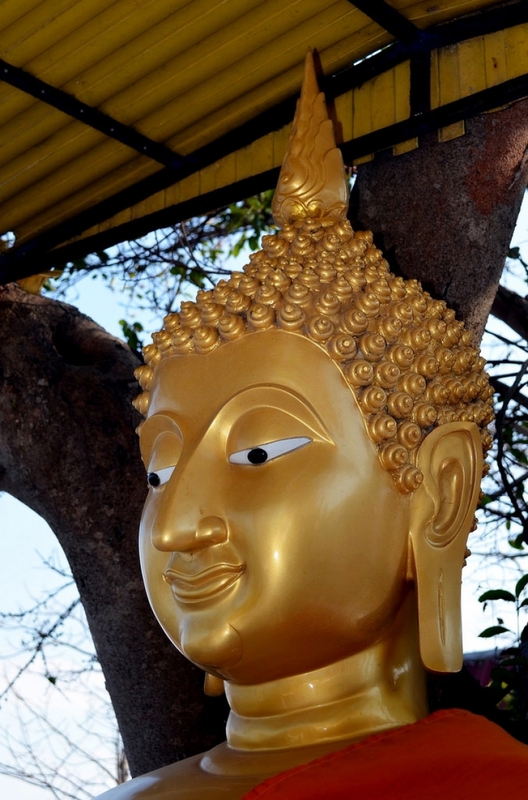 Make a brief stop at the nearby Tham Chakrabongse to snap pictures of the large yellow Buddha statues. 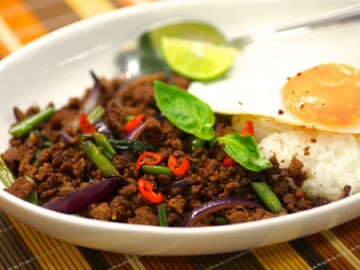 Grab a bite to eat at a local eatery before hitting the beach. 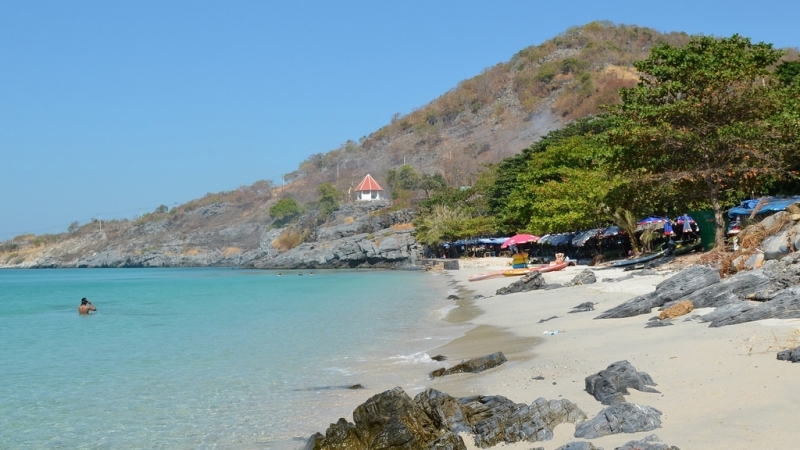 The next destination is the island’s main beach of Haad Tham Phang. Although it certainly doesn’t compare with the idyllic beaches in the south of the country, it’s a pleasant place to spend a few hours basking in the sunshine and enjoying the views. A beach afternoon is a perfect way to round off your morning of exploration! The waters are suitable for swimming. When I visited, however, there were hundreds of small see-through jellyfish in the sea. 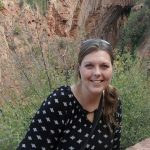 Local families (and my friend!) weren’t perturbed by them and were splashing around and having heaps of fun in the refreshing waters, so I guess the jellyfish weren’t harmful. For me, though, there’s something quite off-putting about having small blobs of goo brush against my flesh every 30 seconds or so, so I chose to just relax on the sand. Maybe you’ll get lucky though and there will be no jellies in the ocean! Snorkelling equipment is available to rent nearby. Of course, you can also use your own. Wade into the waters and swim around with your face just under the surface to see an array of marine life close to the shore. If you’re feeling active, you can also spend the afternoon kayaking to the nearby Bat Island. Alternatively, you can charter a boat to take you the small distance. The waters around Bat Island offer even more terrific snorkelling opportunities. There are several places on Koh Si Chang that offer great sunset vistas. Hop on your scooter (or a tuk-tuk) and head to either Chom Kao Kard or Laem Chakrapong for some of the best views. After the sun has gone down, sample an assortment of fish and seafood dishes in one of the island’s restaurant. Before heading back to your room, take a stroll along the pier and see locals fishing for squid and small fish. Wake up fairly early to enjoy breakfast before arriving at the Summer Palace, also known as Phra Judhadhut Palace, at its opening time (9am). You’ll likely spend a couple of hours wandering around the pretty gardens and seeing the remaining buildings. 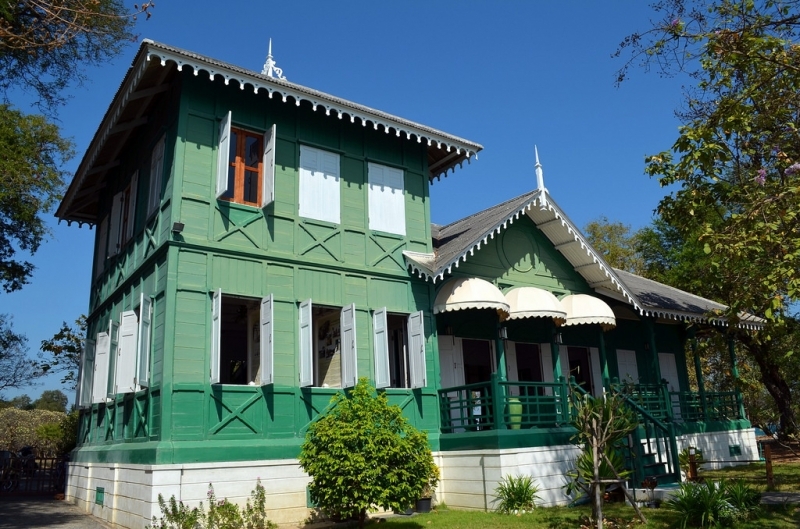 Although the main palace building was moved to Bangkok’s Dusit Palace, the complex still has several restored Victorian-style buildings, a pier, caves, and a small beach. Feel the sand between your toes at Tha Wang Beach and keep your eyes peeled for the rare white squirrels that inhabit the gardens. Those interested in ocean life can pop into the free-to-visit Marine Life Museum. Close to the Royal Palace, you’ll find the locally famous stone bell ̶ a large rock that makes an obscure chiming sound when struck with a blunt object. Grab a stick or a small rock and make the bell ring loudly! Spend a little time walking in the area and see an old pagoda, and then continue to the white and circular Wat Asdangkhanimitr, which can be found a little farther up the hill from the stone bell. 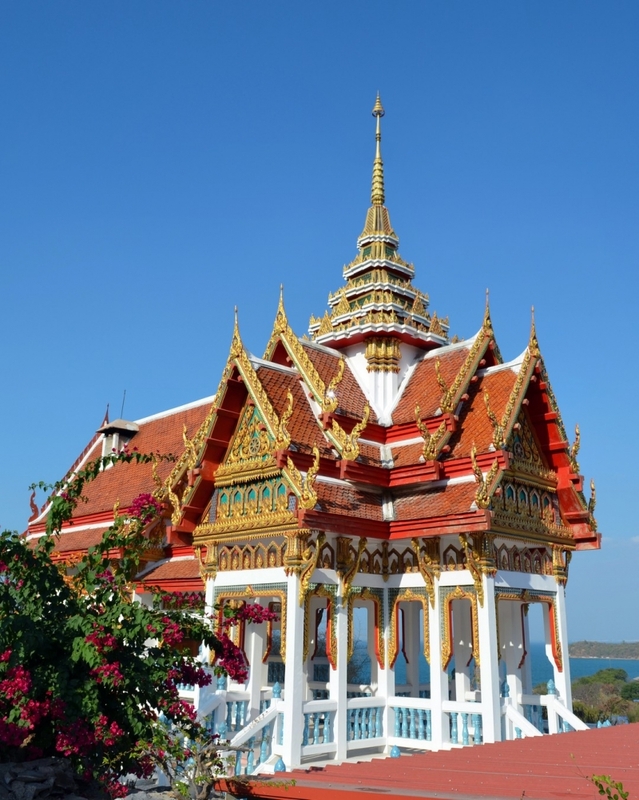 The temple features pretty stained glass and European-like arched windows and doorways, presenting a beautiful contrast to the traditional Thai architectural designs. A revered Bodhi tree stands in the grounds. The morning’s last stop is the island’s bustling fishing harbour, where you can watch fishermen offloading their catches and small boats bobbing on the waves. After seeing how the fish and seafood are brought to the island, call into one of the seafood restaurants for a light lunch before continuing your adventures. Spend the afternoon discovering more of Koh Si Chang’s heritage and culture at one of the island’s main temples: Saan Chao Pho Khao Yai. 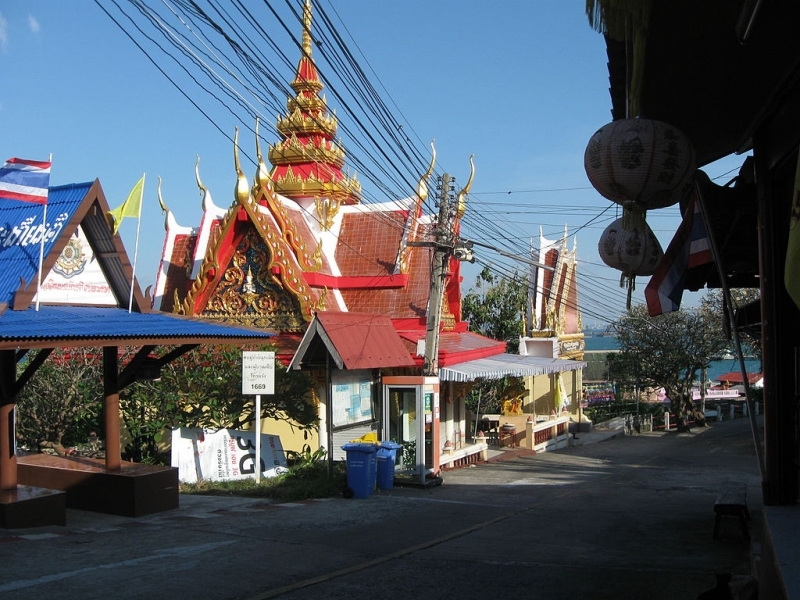 A beautiful and brightly coloured Chinese temple, it is a pilgrimage site for Chinese Buddhists from around Thailand. There are several shrines within the temple, including one that houses a big rock that has worn into the shape of a person. The curious rock is known as the Father Spirit. If your energy levels allow, climb the 500 steps next to the temple to see a replica Buddha’s footprint and admire sweeping views. Try and leave Koh Si Chang by ferry in the early afternoon to include another small but charming island in your action-packed weekend. Board the mainland ferry but ask to be dropped off at Koh Kham Yai. 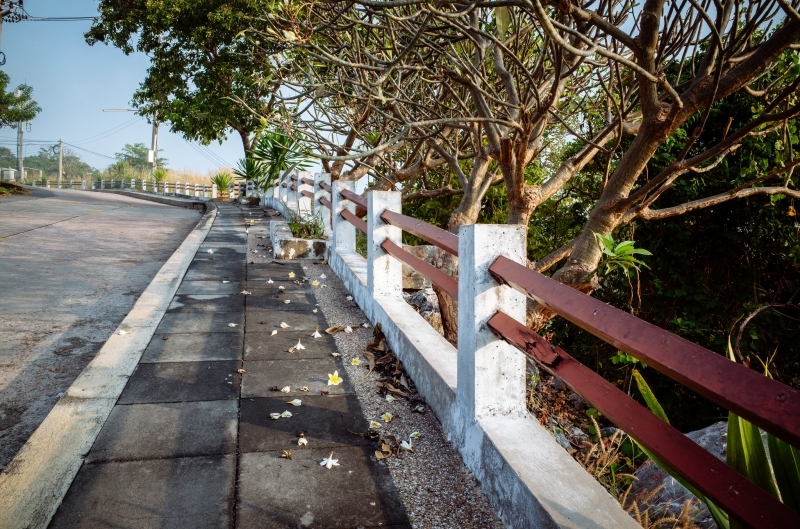 The small community, peaceful atmosphere, and traffic-free pathways provide a lovely setting where you can wander and experience a little of rustic Thailand. You can explore the entire island by foot in just a couple of hours before catching the public ferry back to Si Racha for the evening time.